> Dane Slaughter has received all of his licensing from the state to serve alcohol for his entertainment venue, The Cavern. For the last few months, The Cavern has remained idle while Slaughter campaigned for the city’s alcohol ordinance to be changed to include entertainment venues where food would not be served. In mid-July, the city adopted a new alcohol ordinance allowing “public clubs” in the downtown and 19/41 Bypass areas. 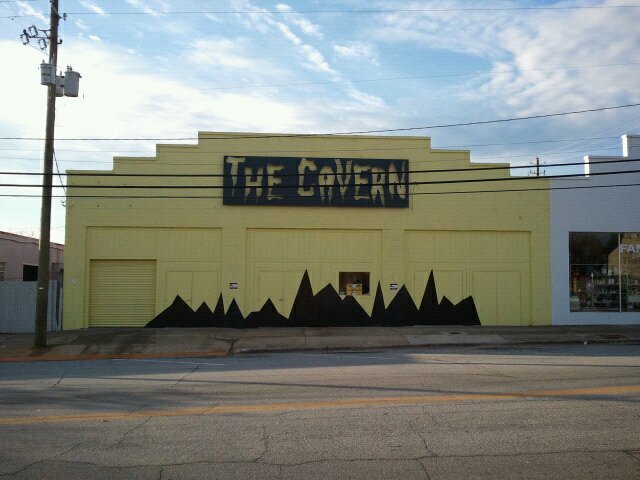 Slaughter has gotten busy readying The Cavern for its grand opening. He placed sound-dampening materials on the walls to enhance the acoustics, bought new lighting, added tables and seating, and erected two 6′ x 24′ steel signs inside and outside the building. The Cavern will host an open mic night tonight, Thursday, Dec 9 at 8 p.m. The event is open to 18+; over 21, no cover.